Northport farmers Rebecca (Becca) Jones and Nick Smith are about to see a dream come true. After three years of market gardening and growing numerous varieties of vegetables on a relative’s land, they are starting to farm on their own property. 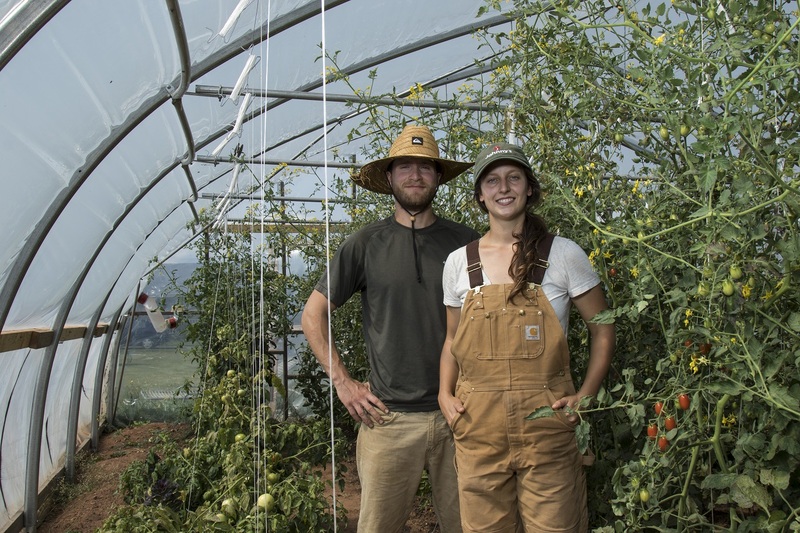 The notion of having a farm and growing a market garden started back in 2011, when, after a stint planting trees in northern BC, Nick and Becca spent the better part of a year traveling across North America, volunteering on farms en route back to Nova Scotia. Although those short work-farm stints were valuable, there were lots of gaps in their education—especially related to the production end of market gardening, and the business side. The learning curve was steep. However, they soon discovered that in the farming community, sharing information and lending a hand is par for the course. “Everyone wants you to succeed and everyone wants to support you.” Along with visiting other farms, they plugged into several organic or farm organizations, went on field tours, and attended seminars and conferences. In spite of their success, it’s come at a price. “Farming is not easy. Things like the sheer amount of physical labour; the stress that comes from pests or disease pressure; unpredictable weather; overcoming mental exhaustion—all these can wear you down over the course of the season,” says the young farmer.